The bipartisan Dream Act of 2017 was just introduced by Senators Lindsey Graham (R-SC) and Richard Durbin (D-IL) in the U.S. Senate. The bill provides legal status, as well as a path to citizenship for undocumented immigrant youth who entered the United States before the age of 18. The Dream Act, if passed into law, will allow young immigrants who have called the United States home for most of their lives to begin to realize their full potential and know the sense of security that comes with living with documentation. 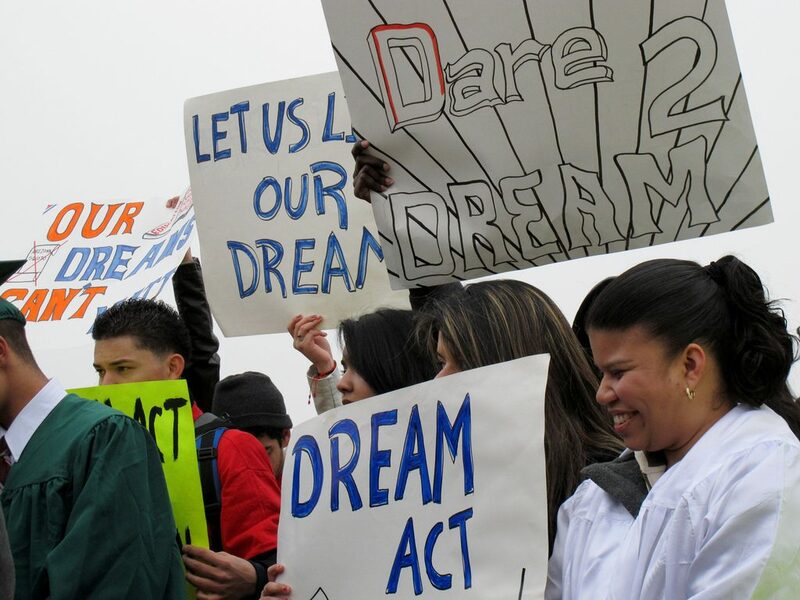 The Dream Act was first introduced in 2001 and has enjoyed broad bipartisan support, but has yet to pass into law. The renewed urgency to pass this legislation comes as media speculates that the Deferred Action for Childhood Arrivals (DACA) initiative, which 800,000 Dreamers are currently protected from deportation by, could come to an end in the coming weeks or months. The threat came after a group of 10 states led by Texas asked the Trump administration to end the DACA initiative and threatened to file a lawsuit challenging it. Secretary of Homeland Security John Kelly also recently met with lawmakers on Capitol Hill and said he is supportive of DACA but that it may not survive a legal challenge. have been admitted to an institution of higher education, have graduated high school or obtained a GED, is currently enrolled in secondary school or a program assisting students to obtain a diploma or GED. Anyone with status under DACA is immediately granted CPR status for up to eight years, which includes work authorization. After maintaining CPR status, individuals become eligible for Lawful Permanent Resident (LPR) status—a green card holder. In order to receive LPR status an individual must either complete at least two years of higher education or two years of military service with an honorable discharge, or demonstrate employment over a total period of three years. Additionally, LPR applicants with disabilities, who are full-time caregivers for a minor child, or an applicant whose deportation would cause extreme hardship to a U.S. citizen spouse, parents, or child can receive a “hardship waiver” which exempts them from the higher education, military service, or work requirements. The Dreamers, for whom this bill is named, have lived in America since they were children and built their lives here. They are American in every way except for their immigration status. It is past time that this nation comes together and does right by them.